Mold can grow anywhere within the home, as long as there are organic food and moisture sources present. 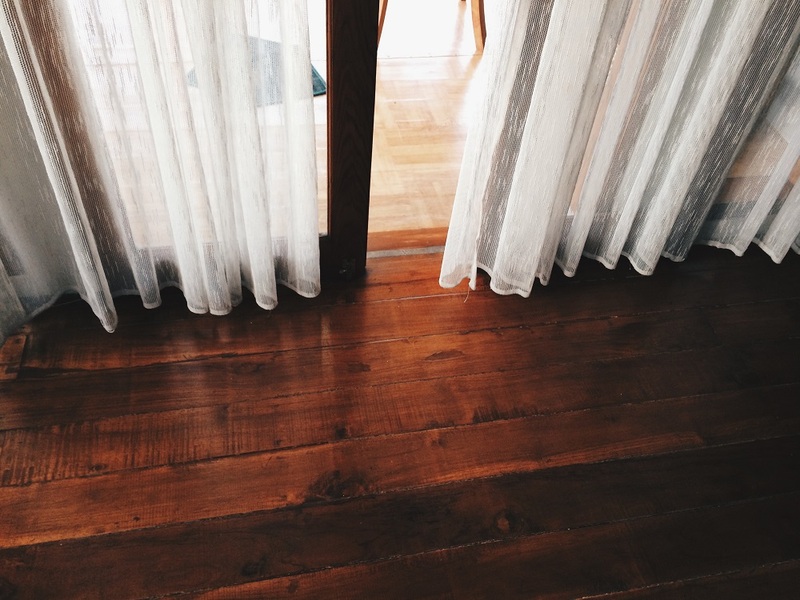 Many homeowners forget that mold can even grow on wooden floors. It is always recommended to contact a professional restoration company for safety reasons. However, small areas can be treated at home before the fungus spreads even further. As long as the mold only covers a few square feet of your wood floors, you can remove it yourself. The first step all professionals take in mold remediation is wearing proper protective equipment to avoid any negative health effects. Choosing the appropriate cleaner is the next most important step in the remediation process. You want to apply a chemical that will remove the fungus completely, not just irritate it. For surface mold, you can use a chlorine bleach solution with a 10:1 water/bleach ratio. While surface mold is not difficult to clean, it is crucial to ensure that all affected areas are cleaned properly. When applying the cleaning solution, spray the bleach cleaner directly on the affected surface, allowing it to sit for 10 minutes. Afterward, wipe the mold away with an old rag and throw it away when you are done. If the mold is still present, you can use a scrub brush with strong bristles to remove the stubborn stains. Finally, you want to make sure that all of the solutions are rinsed properly before moving onto the next step as it will compromise the finish after it is applied. For building materials such as wood floors, mold has the ability to penetrate deep within the surface that extends beyond visibility. Mold that has penetrated deep within the wood floors was likely caused by water damage that went unnoticed or untreated for a long period of time. To determine how far the mold has spread, press into the affected area with a screwdriver. If the wood is soft and spongy, it has spread below the floorboards, which will require replacing the board itself. The first step in removing mold is removing its source, the moisture. Allow air to flow through the area and evaporate the moisture. Just be sure to not place them directly in front of the mold as it will only irritate the fungus more. Allow the air to flow for three to five hours. Once you have removed the surface area of mold from the floor, apply chlorine bleach to the area. If the mold has penetrated through the wood flooring to affect the baseboards, it will need to be removed using a utility knife. If the mold has spread to multiple areas throughout the property, you do not have all tools or time to do it yourself, contact a professional mold specialist. At Restoration Experts, our technicians can address the situation immediately. We will inspect the affected area and apply professional products to remove the mold from its source.